P5 pupils at Grange Primary in Bo’ness came to watch a performance of our book called Mess on the Floor at their school as part of a series of readings and performances organized by bookshop owner Sally Pattle of @farfromthemaddingcrowdlinlithgow. 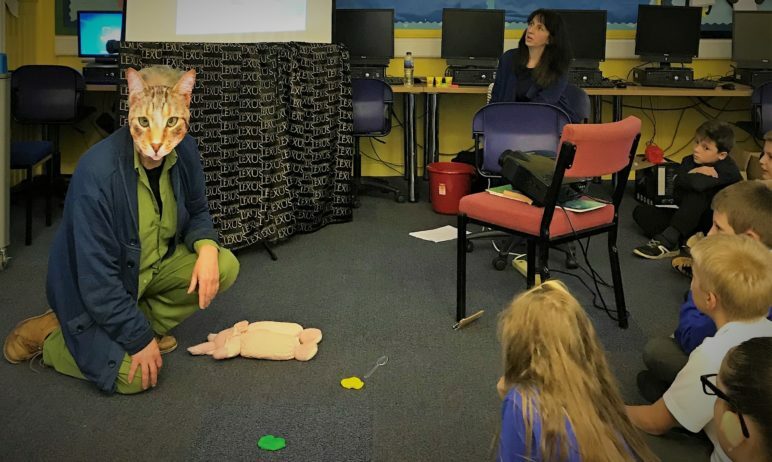 Peter Terrell and Elfreda Crehan from @lexusbooks performed the wacky little story about the troubles of a cat, doing this in a mixture of English and French. Everyone joined in with speaking French and throwing things!